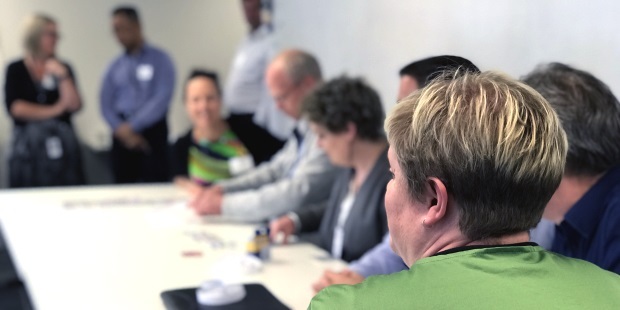 I kicked off our third 'Projects and Agile Community of Practice' event in early December with two teams of six participating in a 'work in progress' exercise. Each team had a timer, four project team members and a project manager. The four project team members were assigned a Greek character - Alpha, Beta, Gamma, and Delta. They had a backlog of 30 cards, where card by card each team member would put their specific colour sticky dots on spots on the card that referenced their character, before handing it onto the next team member. The project manager collected the completed cards (work) at the end of the line. Two rounds of work were completed. 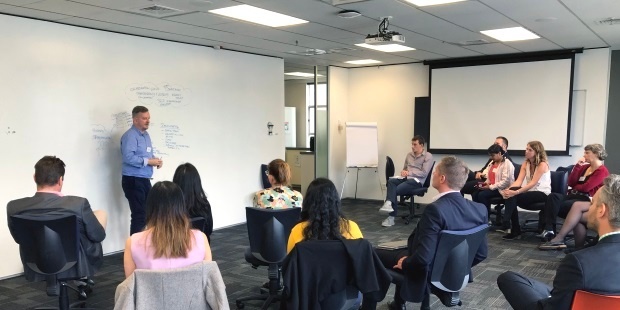 During our Certified Scrum Meetup yesterday I explained that I find it valuable to cover the Scrum approach with my team at the start of every new Scrum project. 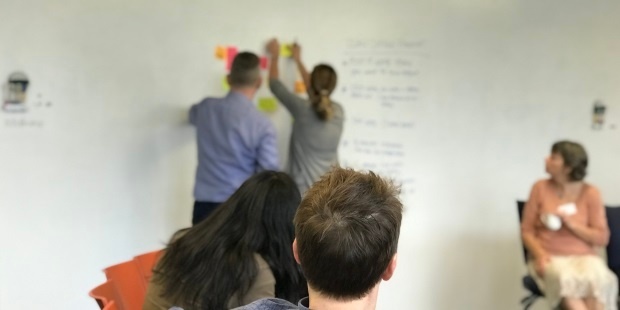 Even when people say they have a good understanding of Scrum there is always value in taking people back to the basic principles of Scrum, knowing they may have moved away from and lost sight of some aspects in day to day project life. During the first Projects and Agile Community of Practice lean coffee the 'Budgeting for Agile Projects' topic received most votes and most talking time. 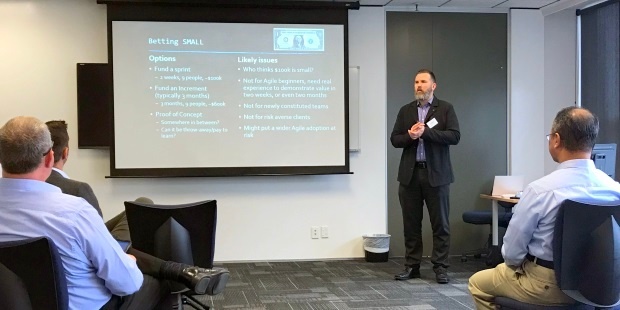 Given the interest in the topic I committed to the group to pull together some of the current thinking on Agile budgeting and present this at this following Community of Practice meetup. Others in the community were invited to contribute too and Felix Jalleh from the Ministry of Social Development also presented as part of this session.